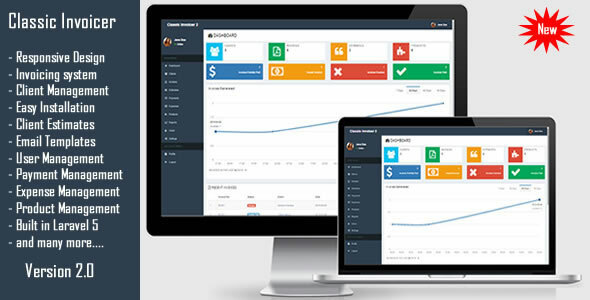 Classic Invoicer is a web-based invoicing and client management system implemented using Laravel 5 framework. It uses JQuery and MYSQL database. Classic Invoicer system will give you the opportunity to create custom invoices and send them to your clients directly, It will also help you in managing and tracking your income by the detailed reports it produces.